Economical and stylish eye protection. 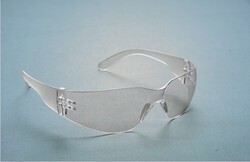 Transparent single lens spectacles with increased lower side protection. Indoor - Anti-scratch/ Fogban with Clear Lens. 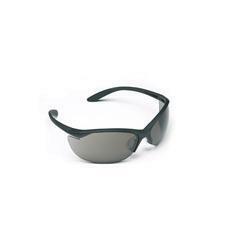 Sun - Anti-scratch/ Fogban with Grey or Blue Mirror type Lens. 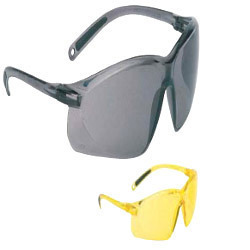 Low-Visibility - Anti-Scratch with Yellow HDL type Lens. Safety Spectacles offered provide users comfortable and stylish usage as well as successfully meet the demands of allowing adequate protection to eyes. Made available in different color shade choices, these spectacles allow easy adoption and come tested and approved as per defined industry standards. 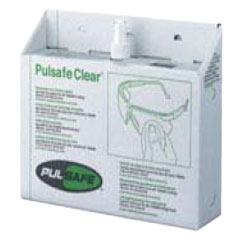 Some of its features include providing safety from medium impact; product coming certified by independent laboratories for assuring of safe usage; also available in OEM design choices to pick from. Rock solid protection at rock bottom price. 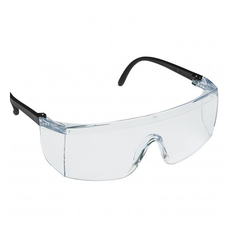 Safety Goggles offeredcome in sleek and stylish finish design and can be made available in both standard as well as OEM versions as per the compliance requirements of different industry standards. Further, these goggles provide for unmatched peripheral vision of 180° and features low profile lens so as to allow comfortable usage under the helmet. Some of its features include suitable for use in combination with hard hats and respirators; allowing for superior optics and enhanced peripheral vision; precision body construction in conformance to facial contours; superior splash and impact protection. 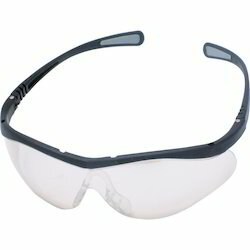 We are leading supplier & distributors of Painters Goggles. in a stylish sunglass look spectacle. Found in prescription spectacle frames. 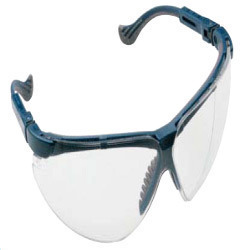 We are engaged in providing wide varieties of safety products including Safety Goggles. 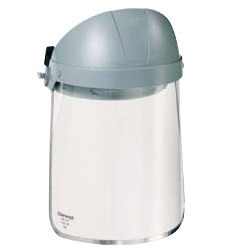 They are known in the market for their quality, sustainable, best designs and high reliability. We ensure best varieties of products which are comfortable to war and are high in demand. Ur products are highly acknowledged in the market and are available at profitable market price range. Sporty, 9-base wrap around polycarbonate lens. Indoor - Fogban/ Anti-Scratch with Clear Lens. Sun - Fogban/ Anti-Scratch with Grey TSR Lens. 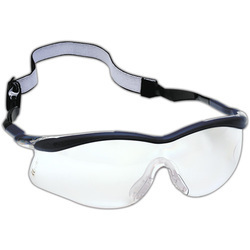 Backed by a team of experienced vendors, our organization is engaged in offering an extensive assortment of Safety Goggles With Textile Suspension. 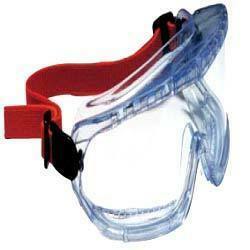 These Goggles are manufactured by our highly skilled and experienced professionals. Our experts make use of high grade raw material and the latest technology to provide a perfect finish to products. Tested against various quality parameters, these are highly used in various construction sites for the purpose of safety. 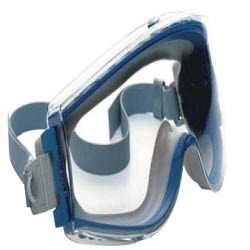 We offer these Goggles at reasonable prices. 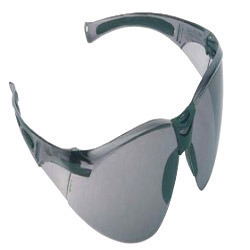 Leveraging on the vast experience of the industry, we also offer pristine range of XC Spectacles. All these products are made in accordance with the international quality standards, under the strict supervision of experts. Offered range of product is designed in order to provide all-day comfort and enhanced coverage. The product we offer is a multi purpose model with a choice of lenses that cover many application areas like indoor, solar, in & out, low light conditions and welding. 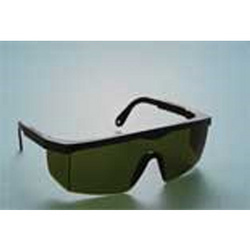 Owing to our expertise in this domain, we are engaged in offering a supreme quality of Laser Safety Goggles to our prestigious clients. High grade raw material and progressive technology is used in the manufacturing process by our reliable vendors in compliance with set universal standards. 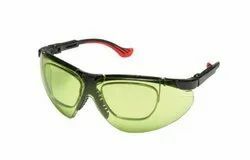 The Goggles offered by us is available in various colors, designs and sizes as per variegated demands of our clients, used in various construction sites, mines, factories etc. Our Goggles has gained huge appreciation for its durability & reliability.